Cariad babywearing sponsors a local sling meet group; Aberystwyth Babywearers.This is a free service aimed at parents with children under 5, offering information, advice and fittings on all types of baby and child carrying aids. From skin to skin with your newborn to hiking with your toddler, there is a large lending library of slings and carriers available to help make carrying your little ones comfortable and hands free. 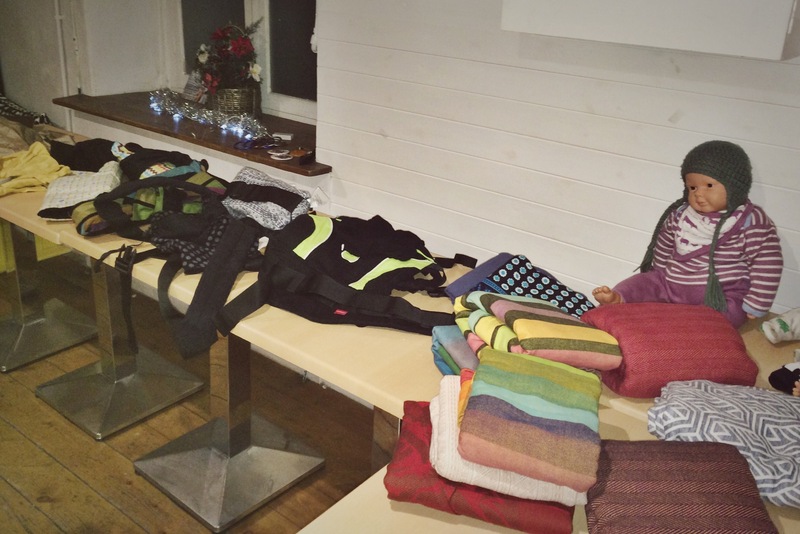 The well stocked sling library is made available on a monthly basis catering for babywearers across the whole of Mid Wales, although appointments for hire can be made on request. The meets are held monthly on the first Thursday of every month and will all take place at Canolfan Merched y Wawr, Vulcan Street, near the Market Hall and Clocktower (postcode SY23 1JH). The meet starts at 11:00 and finishes around 14:00. If you need a bit of help or advice about a carrier you already have you can bring it along to any of these friendly play sessions. 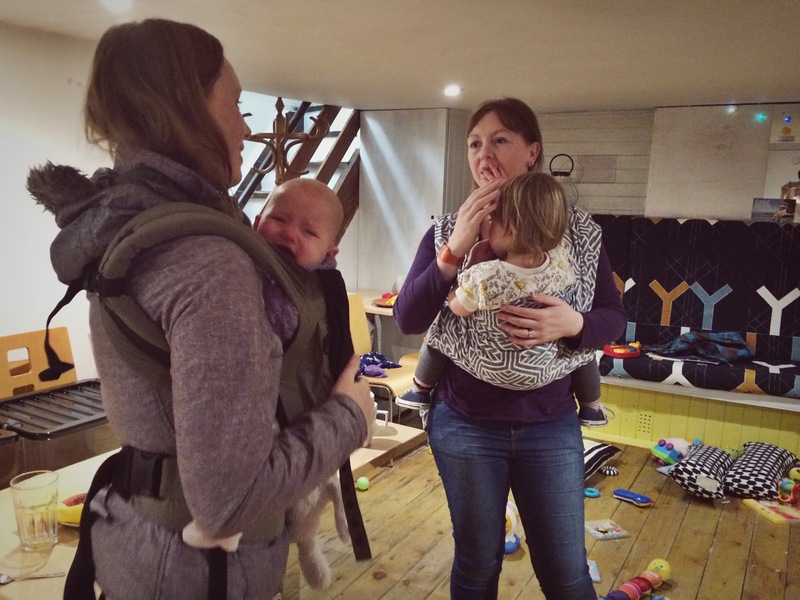 Come along and spend time with like-minded mums and dads and learn more about babywearing. Entrance to the meets is £1.50 on the door. This includes tea, coffee and cake, plus snacks for the little ones too.